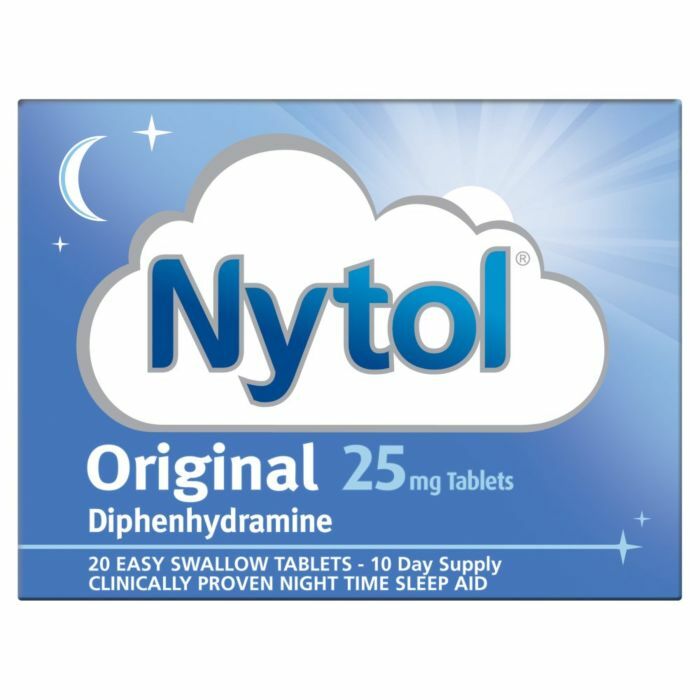 Clinically proven night time sleep aid; easy to swallow caplets. Each capsule contains 25mg diphenhydrramine. Contains lactose - see leaflet for more information. For further information please see leaflet inside pack. Warning : this medicine may make you sleepy. If this happens do not drive or use tools or machines. Do not drink alcohol.